2019 Volkswagen Jetta 1.4T S 1.4L TSI Habanero Oran M 30/40 City/Highway MPG Storm Gry Cloth. GEORGIA'S #1 VOLKSWAGEN DEALER! THREE YEARS IN A ROW! *****Must produce copy of advertisement for sale price. ***** In 2016 Stone Mountain Volkswagen became the #1 Volume Dealer in Georgia, Tennessee, Alabama, North Carolina and South Carolina (source: new car sales Volkswagen of America). We have continued to be #1 for three consecutive years now. We did this by having the largest inventory selection, most competitive pricing, and superior customer service. Stone Mountain Volkswagen has also won the coveted Wolfsburg Crest Club Award four years in a row for outstanding sales and service. Garnering this prestigious award means that Stone Mountain Volkswagen has met the highest standards for customer satisfaction, parts sales, new vehicle sales, certified pre-owned sales, and service excellence. Membership in the Wolfsburg Crest Club is not easy to attain. It requires a Volkswagen dealer to meet exemplary benchmarks in operating standards, new vehicle sales, certified pre-owned sales, parts purchases, pre- and post-sale customer satisfaction indexes, financial statement submission, and Volkswagen Academy employee certification. In 2015, 2016, 2017 and now again in 2018, the Stone Mountain Volkswagen team rose to the challenge and currently ranks among the top Volkswagen dealerships in the U.S.
2019 Volkswagen Jetta 1.4T S 1.4L TSI Black 30/40 City/Highway MPG Titan Blk Cloth. GEORGIA'S #1 VOLKSWAGEN DEALER! THREE YEARS IN A ROW! *****Must produce copy of advertisement for sale price. ***** In 2016 Stone Mountain Volkswagen became the #1 Volume Dealer in Georgia, Tennessee, Alabama, North Carolina and South Carolina (source: new car sales Volkswagen of America). We have continued to be #1 for three consecutive years now. We did this by having the largest inventory selection, most competitive pricing, and superior customer service. Stone Mountain Volkswagen has also won the coveted Wolfsburg Crest Club Award four years in a row for outstanding sales and service. Garnering this prestigious award means that Stone Mountain Volkswagen has met the highest standards for customer satisfaction, parts sales, new vehicle sales, certified pre-owned sales, and service excellence. Membership in the Wolfsburg Crest Club is not easy to attain. It requires a Volkswagen dealer to meet exemplary benchmarks in operating standards, new vehicle sales, certified pre-owned sales, parts purchases, pre- and post-sale customer satisfaction indexes, financial statement submission, and Volkswagen Academy employee certification. In 2015, 2016, 2017 and now again in 2018, the Stone Mountain Volkswagen team rose to the challenge and currently ranks among the top Volkswagen dealerships in the U.S.
$5,000 off MSRP! Priced below KBB Fair Purchase Price! 2019 Volkswagen Jetta 1.4T S 1.4L TSI Black 30/40 City/Highway MPG Titan Blk Cloth. GEORGIA'S #1 VOLKSWAGEN DEALER! THREE YEARS IN A ROW! *****Must produce copy of advertisement for sale price. ***** In 2016 Stone Mountain Volkswagen became the #1 Volume Dealer in Georgia, Tennessee, Alabama, North Carolina and South Carolina (source: new car sales Volkswagen of America). We have continued to be #1 for three consecutive years now. We did this by having the largest inventory selection, most competitive pricing, and superior customer service. Stone Mountain Volkswagen has also won the coveted Wolfsburg Crest Club Award four years in a row for outstanding sales and service. Garnering this prestigious award means that Stone Mountain Volkswagen has met the highest standards for customer satisfaction, parts sales, new vehicle sales, certified pre-owned sales, and service excellence. Membership in the Wolfsburg Crest Club is not easy to attain. It requires a Volkswagen dealer to meet exemplary benchmarks in operating standards, new vehicle sales, certified pre-owned sales, parts purchases, pre- and post-sale customer satisfaction indexes, financial statement submission, and Volkswagen Academy employee certification. In 2015, 2016, 2017 and now again in 2018, the Stone Mountain Volkswagen team rose to the challenge and currently ranks among the top Volkswagen dealerships in the U.S.
2019 Volkswagen Jetta 1.4T S 1.4L TSI Silk 30/40 City/Highway MPG Titan Blk Cloth. GEORGIA'S #1 VOLKSWAGEN DEALER! THREE YEARS IN A ROW! *****Must produce copy of advertisement for sale price. ***** In 2016 Stone Mountain Volkswagen became the #1 Volume Dealer in Georgia, Tennessee, Alabama, North Carolina and South Carolina (source: new car sales Volkswagen of America). We have continued to be #1 for three consecutive years now. We did this by having the largest inventory selection, most competitive pricing, and superior customer service. Stone Mountain Volkswagen has also won the coveted Wolfsburg Crest Club Award four years in a row for outstanding sales and service. Garnering this prestigious award means that Stone Mountain Volkswagen has met the highest standards for customer satisfaction, parts sales, new vehicle sales, certified pre-owned sales, and service excellence. Membership in the Wolfsburg Crest Club is not easy to attain. It requires a Volkswagen dealer to meet exemplary benchmarks in operating standards, new vehicle sales, certified pre-owned sales, parts purchases, pre- and post-sale customer satisfaction indexes, financial statement submission, and Volkswagen Academy employee certification. In 2015, 2016, 2017 and now again in 2018, the Stone Mountain Volkswagen team rose to the challenge and currently ranks among the top Volkswagen dealerships in the U.S.
2019 Volkswagen Jetta 1.4T S 1.4L TSI Silver Metallic 30/40 City/Highway MPG Titan Blk Cloth. 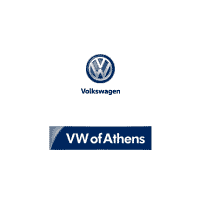 GEORGIA'S #1 VOLKSWAGEN DEALER! THREE YEARS IN A ROW! *****Must produce copy of advertisement for sale price. ***** In 2016 Stone Mountain Volkswagen became the #1 Volume Dealer in Georgia, Tennessee, Alabama, North Carolina and South Carolina (source: new car sales Volkswagen of America). We have continued to be #1 for three consecutive years now. We did this by having the largest inventory selection, most competitive pricing, and superior customer service. Stone Mountain Volkswagen has also won the coveted Wolfsburg Crest Club Award four years in a row for outstanding sales and service. Garnering this prestigious award means that Stone Mountain Volkswagen has met the highest standards for customer satisfaction, parts sales, new vehicle sales, certified pre-owned sales, and service excellence. Membership in the Wolfsburg Crest Club is not easy to attain. It requires a Volkswagen dealer to meet exemplary benchmarks in operating standards, new vehicle sales, certified pre-owned sales, parts purchases, pre- and post-sale customer satisfaction indexes, financial statement submission, and Volkswagen Academy employee certification. In 2015, 2016, 2017 and now again in 2018, the Stone Mountain Volkswagen team rose to the challenge and currently ranks among the top Volkswagen dealerships in the U.S.
2019 Volkswagen Jetta 1.4T S 1.4L TSI Platinum 30/40 City/Highway MPG Titan Blk Cloth. GEORGIA'S #1 VOLKSWAGEN DEALER! THREE YEARS IN A ROW! *****Must produce copy of advertisement for sale price. ***** In 2016 Stone Mountain Volkswagen became the #1 Volume Dealer in Georgia, Tennessee, Alabama, North Carolina and South Carolina (source: new car sales Volkswagen of America). We have continued to be #1 for three consecutive years now. We did this by having the largest inventory selection, most competitive pricing, and superior customer service. Stone Mountain Volkswagen has also won the coveted Wolfsburg Crest Club Award four years in a row for outstanding sales and service. Garnering this prestigious award means that Stone Mountain Volkswagen has met the highest standards for customer satisfaction, parts sales, new vehicle sales, certified pre-owned sales, and service excellence. Membership in the Wolfsburg Crest Club is not easy to attain. It requires a Volkswagen dealer to meet exemplary benchmarks in operating standards, new vehicle sales, certified pre-owned sales, parts purchases, pre- and post-sale customer satisfaction indexes, financial statement submission, and Volkswagen Academy employee certification. In 2015, 2016, 2017 and now again in 2018, the Stone Mountain Volkswagen team rose to the challenge and currently ranks among the top Volkswagen dealerships in the U.S.
2019 Volkswagen Jetta 1.4T S 1.4L TSI Black 30/40 City/Highway MPG Storm Gry Cloth. GEORGIA'S #1 VOLKSWAGEN DEALER! THREE YEARS IN A ROW! *****Must produce copy of advertisement for sale price. ***** In 2016 Stone Mountain Volkswagen became the #1 Volume Dealer in Georgia, Tennessee, Alabama, North Carolina and South Carolina (source: new car sales Volkswagen of America). We have continued to be #1 for three consecutive years now. We did this by having the largest inventory selection, most competitive pricing, and superior customer service. Stone Mountain Volkswagen has also won the coveted Wolfsburg Crest Club Award four years in a row for outstanding sales and service. Garnering this prestigious award means that Stone Mountain Volkswagen has met the highest standards for customer satisfaction, parts sales, new vehicle sales, certified pre-owned sales, and service excellence. Membership in the Wolfsburg Crest Club is not easy to attain. It requires a Volkswagen dealer to meet exemplary benchmarks in operating standards, new vehicle sales, certified pre-owned sales, parts purchases, pre- and post-sale customer satisfaction indexes, financial statement submission, and Volkswagen Academy employee certification. In 2015, 2016, 2017 and now again in 2018, the Stone Mountain Volkswagen team rose to the challenge and currently ranks among the top Volkswagen dealerships in the U.S.
2019 Volkswagen Jetta 1.4T S Habaneroorange 1.4L TSI 30/40 City/Highway MPG 4 Speakers, 4-Wheel Disc Brakes, ABS brakes, Air Conditioning, AM/FM radio, Brake assist, Bumpers: body-color, Cloth Seat Trim, Delay-off headlights, Driver door bin, Driver vanity mirror, Dual front impact airbags, Dual front side impact airbags, Electronic Stability Control, Exterior Parking Camera Rear, Front anti-roll bar, Front Bucket Seats, Front Center Armrest, Front Comfort Seats, Front wheel independent suspension, Fully automatic headlights, Illuminated entry, Low tire pressure warning, Occupant sensing airbag, Outside temperature display, Overhead airbag, Panic alarm, Passenger door bin, Passenger vanity mirror, Power door mirrors, Power steering, Power windows, Radio data system, Radio: Composition Color w/6.5 Touchscreen, Rear anti-roll bar, Rear reading lights, Rear window defroster, Remote keyless entry, Speed control, Speed-sensing steering, Split folding rear seat, Steering wheel mounted audio controls, Tachometer, Telescoping steering wheel, Tilt steering wheel, Traction control, Trip computer, Variably intermittent wipers, and Wheels: 16 Silver Rama. We offer Market Based Pricing. Please Call 866-203-2125 to check on the availability of this vehicle. We'll buy your vehicle even if you don't buy ours. All vehicles plus tax, tag and doc. 2019 Volkswagen Jetta 1.4T S 1.4L TSI White 30/40 City/Highway MPG Titan Blk Cloth. GEORGIA'S #1 VOLKSWAGEN DEALER! THREE YEARS IN A ROW! *****Must produce copy of advertisement for sale price. ***** In 2016 Stone Mountain Volkswagen became the #1 Volume Dealer in Georgia, Tennessee, Alabama, North Carolina and South Carolina (source: new car sales Volkswagen of America). We have continued to be #1 for three consecutive years now. We did this by having the largest inventory selection, most competitive pricing, and superior customer service. Stone Mountain Volkswagen has also won the coveted Wolfsburg Crest Club Award four years in a row for outstanding sales and service. Garnering this prestigious award means that Stone Mountain Volkswagen has met the highest standards for customer satisfaction, parts sales, new vehicle sales, certified pre-owned sales, and service excellence. Membership in the Wolfsburg Crest Club is not easy to attain. It requires a Volkswagen dealer to meet exemplary benchmarks in operating standards, new vehicle sales, certified pre-owned sales, parts purchases, pre- and post-sale customer satisfaction indexes, financial statement submission, and Volkswagen Academy employee certification. In 2015, 2016, 2017 and now again in 2018, the Stone Mountain Volkswagen team rose to the challenge and currently ranks among the top Volkswagen dealerships in the U.S.
$3,000 off MSRP! 2019 Volkswagen Jetta 1.4T S 1.4L TSI White 30/40 City/Highway MPG Titan Blk Cloth. GEORGIA'S #1 VOLKSWAGEN DEALER! THREE YEARS IN A ROW! *****Must produce copy of advertisement for sale price. ***** In 2016 Stone Mountain Volkswagen became the #1 Volume Dealer in Georgia, Tennessee, Alabama, North Carolina and South Carolina (source: new car sales Volkswagen of America). We have continued to be #1 for three consecutive years now. We did this by having the largest inventory selection, most competitive pricing, and superior customer service. Stone Mountain Volkswagen has also won the coveted Wolfsburg Crest Club Award four years in a row for outstanding sales and service. Garnering this prestigious award means that Stone Mountain Volkswagen has met the highest standards for customer satisfaction, parts sales, new vehicle sales, certified pre-owned sales, and service excellence. Membership in the Wolfsburg Crest Club is not easy to attain. It requires a Volkswagen dealer to meet exemplary benchmarks in operating standards, new vehicle sales, certified pre-owned sales, parts purchases, pre- and post-sale customer satisfaction indexes, financial statement submission, and Volkswagen Academy employee certification. In 2015, 2016, 2017 and now again in 2018, the Stone Mountain Volkswagen team rose to the challenge and currently ranks among the top Volkswagen dealerships in the U.S.
$3,000 off MSRP! 2019 Volkswagen Jetta 1.4T S 1.4L TSI White 30/40 City/Highway MPG Titan Blk Clth. GEORGIA'S #1 VOLKSWAGEN DEALER! THREE YEARS IN A ROW! *****Must produce copy of advertisement for sale price. ***** In 2016 Stone Mountain Volkswagen became the #1 Volume Dealer in Georgia, Tennessee, Alabama, North Carolina and South Carolina (source: new car sales Volkswagen of America). We have continued to be #1 for three consecutive years now. We did this by having the largest inventory selection, most competitive pricing, and superior customer service. Stone Mountain Volkswagen has also won the coveted Wolfsburg Crest Club Award four years in a row for outstanding sales and service. Garnering this prestigious award means that Stone Mountain Volkswagen has met the highest standards for customer satisfaction, parts sales, new vehicle sales, certified pre-owned sales, and service excellence. Membership in the Wolfsburg Crest Club is not easy to attain. It requires a Volkswagen dealer to meet exemplary benchmarks in operating standards, new vehicle sales, certified pre-owned sales, parts purchases, pre- and post-sale customer satisfaction indexes, financial statement submission, and Volkswagen Academy employee certification. In 2015, 2016, 2017 and now again in 2018, the Stone Mountain Volkswagen team rose to the challenge and currently ranks among the top Volkswagen dealerships in the U.S.
$3,000 off MSRP! 2019 Volkswagen Jetta 1.4T S 1.4L TSI Silk 30/40 City/Highway MPG Titan Blk Cloth. GEORGIA'S #1 VOLKSWAGEN DEALER! THREE YEARS IN A ROW! *****Must produce copy of advertisement for sale price. ***** In 2016 Stone Mountain Volkswagen became the #1 Volume Dealer in Georgia, Tennessee, Alabama, North Carolina and South Carolina (source: new car sales Volkswagen of America). We have continued to be #1 for three consecutive years now. We did this by having the largest inventory selection, most competitive pricing, and superior customer service. Stone Mountain Volkswagen has also won the coveted Wolfsburg Crest Club Award four years in a row for outstanding sales and service. Garnering this prestigious award means that Stone Mountain Volkswagen has met the highest standards for customer satisfaction, parts sales, new vehicle sales, certified pre-owned sales, and service excellence. Membership in the Wolfsburg Crest Club is not easy to attain. It requires a Volkswagen dealer to meet exemplary benchmarks in operating standards, new vehicle sales, certified pre-owned sales, parts purchases, pre- and post-sale customer satisfaction indexes, financial statement submission, and Volkswagen Academy employee certification. In 2015, 2016, 2017 and now again in 2018, the Stone Mountain Volkswagen team rose to the challenge and currently ranks among the top Volkswagen dealerships in the U.S.
2019 Volkswagen Jetta 1.4T S 1.4L TSI Silk 30/40 City/Highway MPG Titan Blk Clth. GEORGIA'S #1 VOLKSWAGEN DEALER! THREE YEARS IN A ROW! *****Must produce copy of advertisement for sale price. ***** In 2016 Stone Mountain Volkswagen became the #1 Volume Dealer in Georgia, Tennessee, Alabama, North Carolina and South Carolina (source: new car sales Volkswagen of America). We have continued to be #1 for three consecutive years now. We did this by having the largest inventory selection, most competitive pricing, and superior customer service. Stone Mountain Volkswagen has also won the coveted Wolfsburg Crest Club Award four years in a row for outstanding sales and service. Garnering this prestigious award means that Stone Mountain Volkswagen has met the highest standards for customer satisfaction, parts sales, new vehicle sales, certified pre-owned sales, and service excellence. Membership in the Wolfsburg Crest Club is not easy to attain. It requires a Volkswagen dealer to meet exemplary benchmarks in operating standards, new vehicle sales, certified pre-owned sales, parts purchases, pre- and post-sale customer satisfaction indexes, financial statement submission, and Volkswagen Academy employee certification. In 2015, 2016, 2017 and now again in 2018, the Stone Mountain Volkswagen team rose to the challenge and currently ranks among the top Volkswagen dealerships in the U.S.
2019 Volkswagen Jetta 1.4T S 1.4L TSI Tornado Red 30/40 City/Highway MPG Titan Blk Cloth. GEORGIA'S #1 VOLKSWAGEN DEALER! THREE YEARS IN A ROW! *****Must produce copy of advertisement for sale price. ***** In 2016 Stone Mountain Volkswagen became the #1 Volume Dealer in Georgia, Tennessee, Alabama, North Carolina and South Carolina (source: new car sales Volkswagen of America). We have continued to be #1 for three consecutive years now. We did this by having the largest inventory selection, most competitive pricing, and superior customer service. Stone Mountain Volkswagen has also won the coveted Wolfsburg Crest Club Award four years in a row for outstanding sales and service. Garnering this prestigious award means that Stone Mountain Volkswagen has met the highest standards for customer satisfaction, parts sales, new vehicle sales, certified pre-owned sales, and service excellence. Membership in the Wolfsburg Crest Club is not easy to attain. It requires a Volkswagen dealer to meet exemplary benchmarks in operating standards, new vehicle sales, certified pre-owned sales, parts purchases, pre- and post-sale customer satisfaction indexes, financial statement submission, and Volkswagen Academy employee certification. In 2015, 2016, 2017 and now again in 2018, the Stone Mountain Volkswagen team rose to the challenge and currently ranks among the top Volkswagen dealerships in the U.S.
We appreciate your interest in our inventory, and apologize we do not have model details displaying on the website at this time. Please fill the form out below and our team will quickly respond, or, please call us at 877-371-7261 for more information.